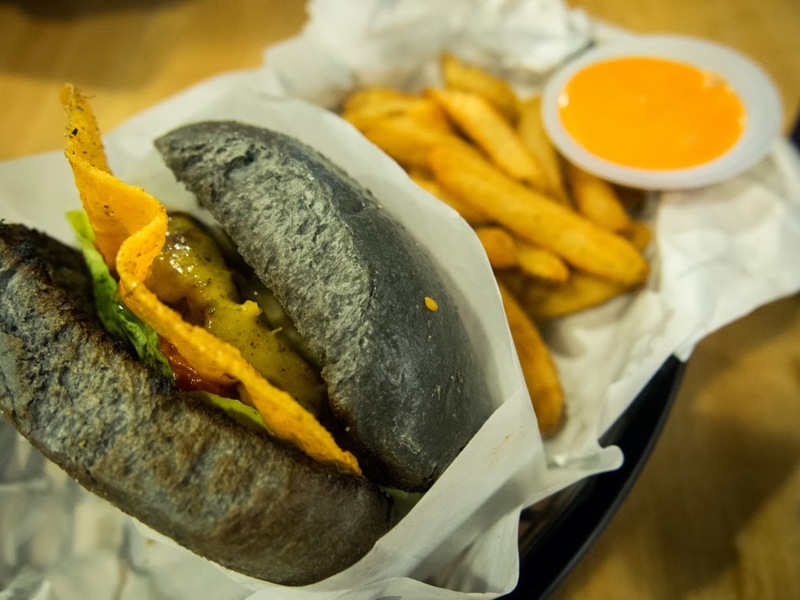 Eat: myBurgerLab, OUG (Jalan Awan Hijau) | It's my life. So, you must have heard the news by now that myBurgerLab has finally opened a second branch and it’s located at Taman Overseas Union Garden. Hooray, for those living close to Old Klang Road, Sri Petaling and Bukit Jalil area. At least now, it’s so much more easier for the KL peeps to hop over compared to the first branch in Taman Seapark area. I’m back in myBurgerLab after a period of more than a year, if I’m not mistaken. I have loved their burgers but not enough, never enough to travel all the way there and braved myself for the long queues. In fact, I thought that since they have opened a second branch, the queue ought to be less. Except that on the day I went, they closed the Seapark branch for renovation works, driving the rest of the crowd to OUG. =.="
It was a long queue when I arrived there, close to one shop length. And when we finally got to order, we waited even longer for the burgers to arrive. Oh, well. What’s new? At least in the new place it’s so much more spacious and I wouldn’t mind the wait for the burgers ad I’m with my friends then. It helped that I wasn’t too famished then either. It was my friends’ first time there and everyone else ended up ordering the same burgers, A+. I brought my little brother along and he ordered the Say Cheese. As for myself, since I had them both before, I wanted to try something different so I ordered The Hulk. This was what my brother had ordered. He wanted the Say Cheese set with beef patty. He had probably ordered this because it was so cheesy. This burger is made up of a single patty, raw onions, secret sauce X and a fried cheddar cheese. I didn't give this a try so I asked him what it tasted like. My brother has never eaten any other type of burgers if not from a fast food restaurant. Needless to say, he loved this very much especially the deep fried cheese. He did however said that he preferred the McD's fries than these from myBurgerLab as these had too many herbs in them. Like I mentioned earlier, I wanted to try something I never did before from myBurgerLab. And I was actually really spoilt for choice when I looked at the menu, so I asked a friend of mine who frequents the place quite often and he suggested The Hulk. 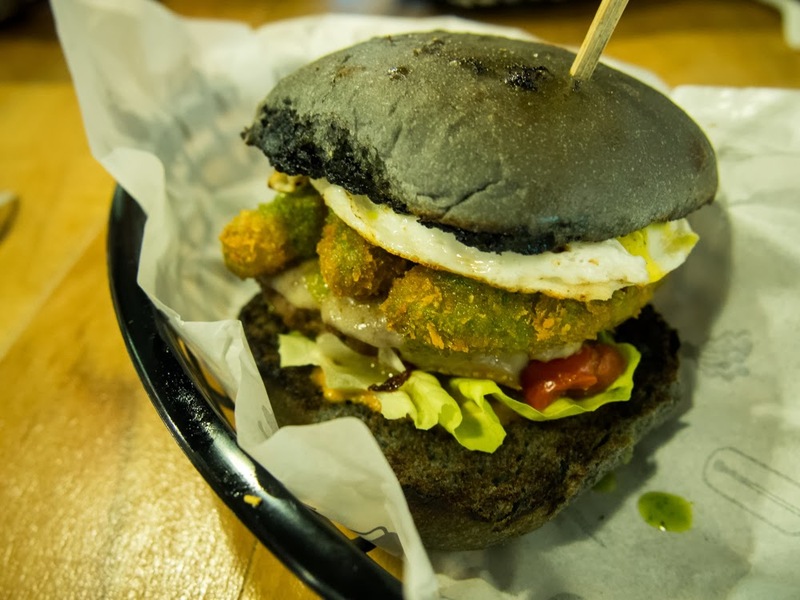 In this burger was fried avocado, green salsa, kombu mayo & egg. Similar to my brother, I ordered the beef patty for my burger. When the burger was ready, it looked humongous and came with a stick to hold it upright. There were two options to eat it, one was to eat it by layers or the other was to eat everything in as they were. I decided to eat everything together, so to hold it together, I kept the stick on the burger to help me. Look! 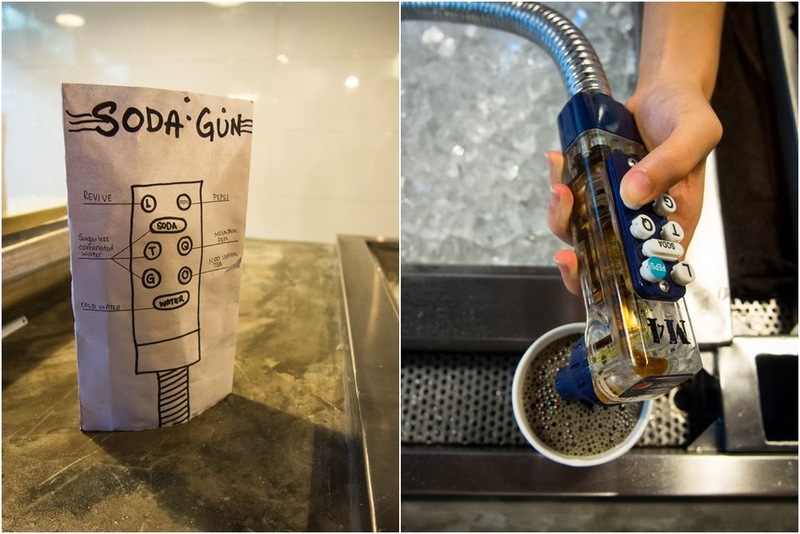 They have a soda gun, which I was pretty amused by. I mean so cool! Just click on the buttons and voila! Feels like magic. Jalan Awan Hijau, Overseas Union Garden, Off Old Klang Road, Kuala Lumpur. Open for dinner, except on Mondays. Yeap, uber cool right?! I was so impressed by it, I just stood there and took pictures. Go to the OUG one! Less people. LOL to everyone ordering the same! U make me wanna go back to try the say cheese..... Except that, it's overpriced la. If you go back, you should try something else! Yea, once in a while is fine.